If you are visiting Albania, you need to get a visa from an Albanian Diplomatic Mission. That is of course unless you come from one of the visa exempt countries or you qualify for a free visa entry under Albanian law. You do need a passport to enter the country, but some visitors are allowed to enter with only their id cards. Which Countries Are Exempt From A Visa In Albania? If you are from Andorra, The EU, Barbuda or Antigua, Armenia, Australia, Argentina, Australia, Bahamas, Barbados, Azerbaijan, Bosnia and Herzegovina, Brunei, Brazil., Chile, Canada, Costa Rica, El Salvador, Guatemala, Holy See, Honduras, Hong Kong, Israel, Japan, Kazakhstan, Kosovo, Macedonia, Macau, Malaysia, Mexico, Mauritius, Moldova, Montenegro, Monaco, Nicaragua, New Zealand, Paraguay, San Marino, Saints Kitts and Nevis, Seychelles, Serbia, Singapore, Taiwan, South Korea, Turkey, Ukraine, US, Uruguay, or Venezuela then you do not need a visa to enter the country. Seventy Six countries are exempt from needing country entry visa there. And the law is very relaxed for them. That is why the country is a great option for a last minute getaway. Citizens from the above countries are allowed to stay for up to 90 days visa free, however if they decide to stay longer then a visa is required. Anyone from these countries can enter with only an ID card that is valid, so make sure that you do have your ID card when travelling to Albania. Any one that holds a Schengen Visa is also allowed to enter the country for 90 days and if you are from a family that has Albanian ethnicity then you too do not need a visa. Albanian visa entry is very relaxed and beneficial for many countries making it the perfect last minute travel destination. Also the UAE, Qatar and Kuwait have just been added to the 90 day rule. US Entry Visa- Again no visa is required for those from the US that need to enter into Albania for a 90-day period. If you get married in Albania then it is under the Albania jurisdiction and the Albanian government is involved. 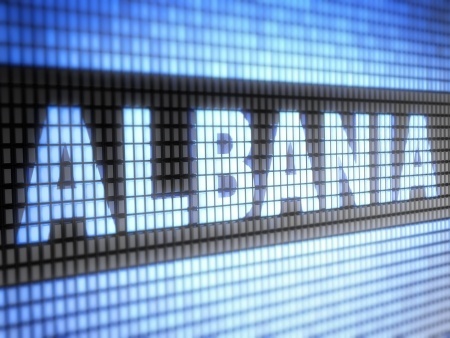 Foreign nationals of Albania are permitted to marry in a religious ceremony, or a civil ceremony, and this will be considered legal in Albanian law. There are currently no resident requirements for foreigners that wish to marry in Albania and you do not need residency to do so. You will need to submit some documents though. What Documentation Will I need To Marry in Albania? You will need an affidavit of eligibility to get married in the Republic of Albania. If you are from the US then you will have to submit a freedom to marry certificate and this has to be issued by the US government. The US actually does not issue such documents so you will have to submit a document that states that you have taken an oath under US law. This is to declare that you have not previously married and it will have to be submitted to the embassy in Tirana. You will have to have this translated into Albanian, sometimes it is not sufficient to allow marriage under the government’s law though and you will have to get an affidavit that covers all the areas of the US. This is set to protect Albanians that want to get married out of their country and to other nationalities. How Much Does A Marriage Application Cost In Albania? It costs $50 to submit this documentation and you have to pay this directly to a cashier in the consular. You will also have to make an online appointment to do so in order to get this document in the first place. In addition, when marrying in a city hall you have to have two witnesses that are not related to your spouse in blood or marriage. Your witnesses will have to be at the hall when you register the marriage and they are required to sign your certificate. Marriage in Albania is not taken lightly and this is to protect their citizens from scams and the like. There used to be a surge of Albanians marrying from other countries in order to obtain visas so this strict law has been set up to ensure that anyone trying to play around with marriage is stopped dead in their tracks. So, there you have it a lot of visa info for those wanting to visit Albania and of course, those that want to marry someone of Albanian ethnicity.